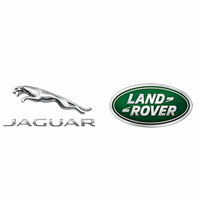 Vital Software has recently completed the roll-out of the Jaguar Land Rover Australia (JLR) Dealer CRM to all dealerships in the network. JLR chose Vital Software to provide prospect and lead management across the national dealer network as well as to provide the dealers with the ability to conduct marketing activities through their own dedicated CRM systems. JLR Dealer CRM allows dealerships to manage their prospects more effectively, ensuring that all customers are followed up and guided through all steps of the sales process. This results in more customers visiting JLR dealerships, more test drives being conducted and more Land Rovers and Jaguars being sold. If you would like to find out more contact Katie at Vital Software on 03 9245 9699. Vital Software is a leading provider of data driven solutions for the automotive industry. Our customers include best of breed OEM, dealer group, and dealership businesses and assist in the areas of Customer Relationship Management (CRM), Lead Distribution, CSI Management, Service and Parts Performance reporting, and more. Our offices are located in Australia and the United Kingdom. Calls in the UK office may be recorded for training and monitoring purposes.